Drivesafe.ly is powered by iSpeech Text to Speech App. A Free TTS App that supports 27 different languages and 20+ voices, iSpeech`s TTS is the most natural sounding TTS out there. What is Celebrity Voice Changer? Voice Changer is the only app that allows you to transform your voice into a celebrity impersonation. Topping one-million downloads in 2017, it's time you try Celebrity Voice Changer! Hotness.ai - How Hot Are You? Hotness.ai by using Artificial Inteligence will let you know How Attractive You Are or How old do you look like. When the button reads "OFF", the application is not active. This means DriveSafe.ly will not read your messages out loud. To activate DriveSafe.ly and have your messages read out loud, tap the "OFF" button and it will switch to "ON" and turn green. When the button reads "ON", the application is active and will read your text messages and emails out loud. 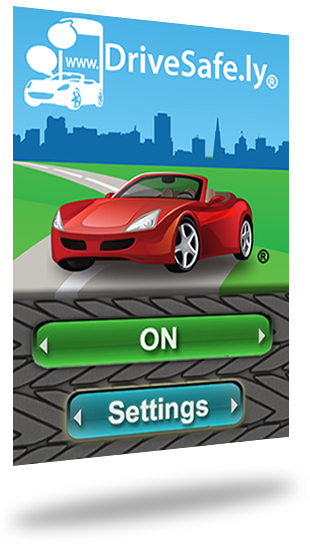 To de-activate DriveSafe.ly, tap the "ON" button and it will switch to "OFF". This confirms that the ap is not active and will no longer read your messages out loud. The "Settings" button unlocks a control panel where you can change the behavior of DriveSafe.ly while it is activated.